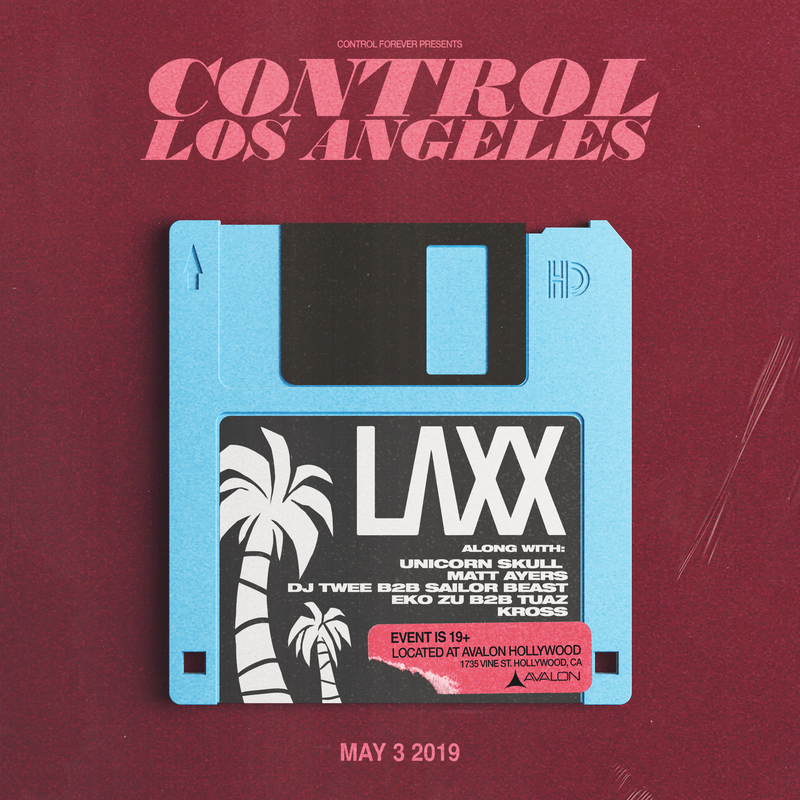 AVALON Hollywood’s CONTROL Friday returns on May 3rd with the raw and multi-dimensional sound of LAXX, featuring support from Unicorn Skull, Matt Ayers, Kross, DJ Twee, Sailor Beast, Eko Zu, and Tuaz. LAXX’s uncompromising groove and creativity transcends every corner of dance music. The Oxford-born DJ draws on elements from both the UK underground scene and US hip-hop to create a truly unique dance-trap fusion. The release of his first hit single ‘Step One’ and follow-up EP ‘Step Two’ earned LAXX a cult-like following in the bass music scene. Since then, he has received support from prominent powerhouse DJs like Skrillex, Kill the Noise, and Knife Party among many others. 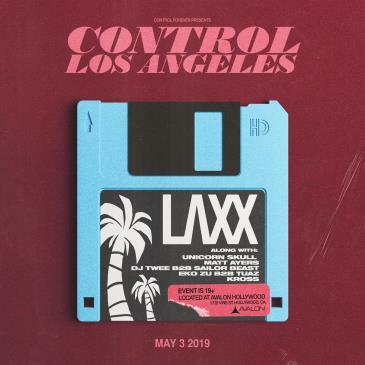 LAXX remains hot off the 2018 release of his debut album ‘Fake Friends,’ which he shortly followed with a dubstep-inspired remix album of the same name. By breaking down genre barriers to create a futuristic balance between the mainstream and underground, LAXX entices the world with what is next to come. LAXX will be joined by a slew of LA natives. Sets from Unicorn Skull, Matt Ayers, and Kross offer-up even more bass-heavy madness and provide the perfect complement to LAXX’s sound. Additionally, CONTROL Friday will see back-to-back sets from DJ Twee and Sailor Beast as well as Eko Zu and Tuaz, putting the pedal to the metal on a night of nonstop dance heaven.